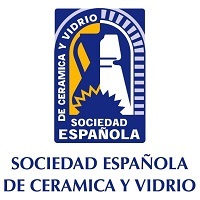 The Journal of the Spanish Ceramic and Glass Society publishes scientific articles and communications describing original research and reviews relating to ceramic materials and glasses. The main interests are on novel generic science and technology establishing the relationships between synthesis, processing microstructure and properties of materials. Papers may deal with ceramics and glasses included in any of the conventional categories: structural, functional, traditional, composites and cultural heritage. β-Tricalcium phosphate (β-TCP) is one of the most investigated calcium phosphates to be used in bone tissue regeneration. Nowadays, β-TCP has been synthetized by different methods that allow obtaining different morphologies with chemical compositions similar to the bone tissue, broadening the possibilities of use. In this work, β-TCP powders were obtained using two different routes: mechanosynthesis and sol–gel. Results shown that both methods had significant effects on morphology and size particle of the obtained powders. The average size particles obtained using mechanosynthesis at 24 and 12h of milling time were 1000 and 170nm, respectively. The average size particles of the powders fabricated using sol–gel was 350nm, and the average powder particle size of the sigma reagent was 1450nm. Besides, sol–gel and sigma reagent powders were observed residual phases, instead mechanosynthesis shown only tricalcium phosphate beta phase. The formation of agglomerates with different sizes was observed in both methods by sol–gel and mechanosynthesis. El fosfato tricálcico fase β (β-TCP) es uno de los fosfatos de cálcico más investigados para el uso de la ingeniería de tejidos óseos. Hoy en día, el β-TCP ha sido sintetizado por diferentes métodos, que han permitido obtener diversas morfologías con composiciones químicas similares a las del tejido óseo ampliando las posibilidades de uso. En este trabajo se obtuvieron polvos de β-TCP usando dos rutas diferentes: mecanosíntesis y sol-gel. Los resultados mostraron que ambos métodos presentan efectos significativos sobre la morfología y el tamaño de partícula de los polvos de fosfato tricálcico. Las partículas de tamaño promedio obtenidas por la ruta de mecanosíntesis con condiciones de 12 y 24h presentaron valores de 1000 y 170nm, respectivamente. Las partículas de tamaño promedio de los polvos fabricados por sol-gel fueron de 350nm y el tamaño promedio del reactivo sigma fue de 1450nm. Además, se observó que los polvos obtenidos por sol-gel y el reactivo sigma presentaron fases residuales, en cambio por mecanosíntesis mostró solo fosfato tricálcico fase beta. La formación de aglomerados se observó en ambos métodos tanto en sol-gel como en mecanosíntesis. Tricalcium phosphate (TCP) is one of the variations of the calcium phosphate compounds with more applications in bone tissue regeneration [1–3], due to its chemical composition similar to the natural bone tissue . Different synthesis routes can produced TCP, e.g., mechanosynthesis, wet methods, microwave irradiation, sol–gel, etc. [5–8]. Each of these methods provides specific characteristics to the TCP, such as particle size, mechanical properties, morphology and crystalline structures. Among them, mechanosynthesis and sol–gel procedures present the best performance taking into account particles size and homogeneity. These two methods are controlled by variables that modify the powders feature: in the case of mechanosynthesis, the powders can be changed by the reagents selection, ball/mass ratio, powder/mass ratio, wet or dry milling, milling time, rotational speed, etc. On the other hand, variables to consider in the sol–gel method are pH, reagents, aging temperature, and calcination. Then, the resulting particle sizes obtained by sol–gel and mechanosynthesis can measure from nanometers to some microns in size, also broadening the range of properties such as chemical reactivity, dissolution and mechanical properties [5,9]. It has been reported that using these synthesis techniques it can be obtained high purity and crystalline phases, as a consequence of the chemical composition of the reagents [6,8,10,11]. Then, it is essential to correlate the synthesis mechanisms and their variables with the final characteristics and properties of the obtained materials. Therefore, the objective of the present work was to achieve a detailed characterization of tricalcium phosphate powders by mechanosynthesis and sol–gel methods. Besides, to compare the sigma reagent tricalcium phosphate with the powders manufactured with the procedures already mentioned. Two different processes were performed for obtaining TCP powders with beta phase: (i) sol–gel, (ii) mechanosynthesis at 12 and 24h at 350rpm. β-TCP Sigma–Aldrich reagent with a purity of 96% was used as a reference parameter to compare with sol–gel and mechanosynthesis powders. The nomenclature used for this research was 12M and 24M for the milling time of 12 and 24h respectively. The experimental conditions for each procedure are specified below. All the reagents used in this research were from Sigma–Aldrich: calcium carbonate (CaCO3), and calcium dibasic phosphate (CaHPO4), both of them with a purity higher than 98%. The mechanical activation was achieved in a Retsch PM400 planetary ball mill. Calcium carbonate and calcium dibasic phosphate powders were mixed in a roller mill for 30min (Ca/P=1.5). Furthermore, the ratio of ball-to-powder was of 8:1. The mechanosynthesis was carried out for 12 and 24h with a speed of 350 rounds per minute (rpm). Finally, the beta phase (β) of the TCP was obtained through heat treatment at 900°C for 3h and then, it was cooled with a speed of 3°C per minute to room temperature in a Thermolyne FB-1315M benchtop muffle furnace. For this case, the reagents were also from Sigma–Aldrich, calcium nitrate tetrahydrate: Ca(NO3)2·4H2O, citric acid monohydrate C6H8O7·H2O, and diammonium phosphate (NH4)2HPO4. The amounts used were 0.0926mol Ca(NO3)2·4H2O, 0.0926mol C6H8O7·H2O and 0.0617mol of (NH4)2HPO4. The three components were dissolved in 100mL of water and agitated for 30min. The pH was maintained around 2 adjusting with nitric acid (HNO3) dropwise. The resulting product was vaporized at 80°C until appearing a transparent gel. Subsequently, the gel was heated at 100°C to eliminate rest of water . The TCP xerogel was heated at 900°C for 3h and then, it was cooled with a speed of 3°C per minute to room temperature. The tricalcium phosphate powders obtained by mechanosynthesis at 12, and 24h, sol–gel and β-TCP Sigma–Aldrich powders were characterized by different techniques. Crystalline structures were analyzed using a D500 X-ray Diffractometer (XRD) with Cu Kα radiation at 30kV and 25mA in the 2θ interval from 20° to 40°, at scanning speed of 0.2°/min. Diffraction patterns were analyzed using EVA V4.2.1 software (Bruker-AXS, Karlsruhe, Germany) and associated to the JCPDS cards to evaluate the crystallite size and amount of the phases. The morphologies of the powders were observed through a JEOL JSM-7600F Field Emission Scanning Electron Microscope (FE-SEM) operated at 15kV, with an X Flash 6/30 Bruker energy-dispersive X-ray spectrometer (EDS) attached; while the Fourier transform infrared (FTIR) spectroscopy was performed by means of a Bruker Tensor 27 FT-IR Spectrometer in the range between 400 and 4000cm−1. Surface Area Analyzer Horiba SA-9600 series measured the surface area of the powders. To study the particle size distribution was used Brookhaven 90Plus Particle Size Analyzer. On the other hand, the β-TCP powders densities were determined by the pycnometer method . Finally, Transmission electron microscopy TENAI F20 Philips (TEM) used to examine the microstructure, crystal structure and chemical composition of the tricalcium phosphate powders. The t-test was used to analyzed the tricalcium phosphate beta phase on EDS, density, surface area, and particle size distribution. Significance was identified at 0.05 level. The XRD patterns of the TCP powders obtained by mechanosynthesis and sol–gel routes were indexed using standard cards by the Joint Committee on Powder Diffraction and Standards (JCPDS). The powders performed by mechanosynthesis at different milling times matched with the card number 00-055-0898 correlated to the β-TCP, nevertheless the sol–gel and sigma reagent powders shown two different phases, which were β-TCP and β-Ca2P2O7 related to the cards 04-014-2292 and 00-003-0297, respectively, as can be observed in Fig. 1, In all the samples the highest peak corresponding to the crystallinity of beta phase was found at 2θ=31.5°, corresponding to the (0210) planes, which agrees with the works of Rangavittal et al. and Prevéy . However, the crystallite size was calculated using the Eva 15.1 software, which is based on the Debey–Scherrer equation . The powder with larger crystallite size was 150nm for the sigma reagent tricalcium phosphate, then 115nm for the sol–gel β-TCP powders, and finally, the mechanosynthesis powders with different times of milling. The powders with the condition at 12h had a crystallite size of 103nm and 93nm for the powders with milling time at 24h. On the other hand, the quantification of crystalline phases of the powders such as sol–gel and sigma reagent were measured, where sigma reagent powders had more amount of β-TCP with a quantity of 86.8% and 13.4% of the phase of β-Ca2P2O7. Sol–gel powders presented 71.2% of β tricalcium phosphate and the rest, which was 28.8% of β calcium pyrophosphate. On the other hand, the cell parameters presented by the different powders were as follows; by the Sigma reagent powders for the β-TCP phase was a=10.42906Å, c=37.33689Å. However, the β-Ca2P2O7 shown the parameters a=6.68711Å and c=24.14700Å. Sol–gel powders for the β-TCP phase had cell parameters of a=10.42497Å and c=37.34332Å, and also theβ-Ca2P2O7 phase had the following values of a=6.67662Å and c=24.11386Å. The mechanosynthesis powders with the time milling condition at 12h presented for the β-TCP cell parameters a=10.41662Å and c=37.32959Å. The milling time at 24h shown the β-TCP parameters of a=10.39632Å and c=37.366623Å. XRD diffraction patterns of β-TCP powders obtained by sol–gel, mechanosynthesis with different milling times at 24 and 12h, and the sigma reagent. Furthermore, Fig. 2 shows the infrared spectrometry of the material obtained using the sol–gel, mechanosynthesis method, and sigma reagent, presenting the PO43− groups, which are characteristics of the β phase. The main absorption bands found for the powders obtained by both methods coincide with this group (PO43−). The V1 type vibration was presented at 960cm−1, V2 at 460cm−1, V3 was at 1040cm−1 and in two different ranges. The first range was 1000–1100cm−1, the second was 1020–1120cm−1. Finally, V4 was in a range at 560–600cm−1, also besides, the wavelengths at 602 and 555cm−1. Moreover, the FTIR shown the presence of a residual quantity of P2O7, it was the result of the transformation process from TCP to β phase . The calcium pyrophosphate phase was confirmed by the X-ray diffraction analysis in sol–gel and sigma reagent powders. Infrared spectrum of tricalcium phosphate beta phase powders obtained by sol–gel, mechanosynthesis at 24 and 12h, and the sigma reagent. FE-SEM analysis revealed that the main difference between the β-TCP powders obtained by the two different methods used in this work is the size of the particles, as can be observed in Fig. 3a–d, micrographs were taken using secondary electrons. It is important to remark that both images were made at the same magnification (15,000×). The powders of beta-tricalcium phosphate fabricated by sol–gel shown agglomerate morphology (Fig. 3a); as well as the powders obtained by milling at 24h, which had agglomerates with a significant difference in the size concerning to sol–gel (Fig. 3b). The mechanosynthesis powders with the milling time at 12h exhibited rounded particles with homogenous size (Fig. 3c). Sigma reagent powders shown the largest particles concerning to the rest of the powders (Fig. 3d). The milling powders at 12h shown the classical model of sintering, which involves 3 steps, in the first step, the powders formed inter-particle necks, and then they grew. In the intermediate step, the powders begin to densify as a result of the shrinking of the pores and finally, ending when the pores disappear . Nevertheless, the powders at 12h the sintering temperature were at 900°C, it means that the temperature was not enough to allow the last step to be completed. FE-SEM images of β-TCP powders obtained by (a) sol–gel, mechanosynthesis at 24h (b) at 12h (c), and sigma reagent (d) shown the morphology and the size of the powders. In the case of the milling powders at 24h shown more agglomeration, which caused that the particles did not induce the neck formation. The agglomerate morphology at 24h was different from at 12h, and also, the surface area was dissimilar in both conditions. Consequently, the morphology and the surface are parameters that promote the sintering process. For the β-TCP obtained using mechanosynthesis with the milling time at 24h shown the smallest particle size since 170–400nm (Fig. 3b). For the milling time at 12h presented a particle size range of 210–1700nm (Fig. 3c). While in the case of the β-TCP obtained using sol–gel the particle size was of 260–1000nm (Fig. 3a). Sigma reagent powders indicated a smaller particle size range of 1000–1800nm (Fig. 3d). The agglomeration presented in both methods occurred as a result of different physical and chemical mechanisms. In the case of the sol–gel powders as a result of the chemical mechanism induced by the citric acid forming particle agglomeration. On the other hand, the mechanosynthesis powders had agglomerated particle due to the physical interaction of the powder with the balls and the container, and even owing to the collision between powder particles. Some researchers have explained that TCP powders synthesized by mechanosynthesis can be influenced by parameters as milling time, media and chemical composition of raw materials. They found that at 5h milling times the tricalcium phosphate was amorphous, while at 10h the degree of crystallinity was higher by the formation of secondary phases due to excessive adhesion of the powder in the balls . Takaes and McHenry  explained the effect of the temperature of the milling balls, founding that beating between ball-particle and ball-ball can be in greater or lesser quantity because of the revolutions per minute or mill vibrations caused a temperature higher than 100°C. Nevertheless, Balaz  described that there are two types of temperature during the milling process, which are local temperature and the vial temperature. The local temperature had gradient temperature because of during the milling some part of the powders were stuck on the wall vial, other parts of the powders were around the balls, and the rest of the amount of the powders were free moving around the volume of the container. On the other hand, the agglomeration observed in Fig. 4b–c can be a result of weak forces such as Van der Waals, already reported in particles with sizes lower than 1μm. For bigger particles, this agglomeration could be a result of absorbed vapor forces, reported in particles smaller than 80μm due to the adhesion forces between particles and hydrogen bonds [22,23]. EDS analysis of β-TCP powders allowed to corroborate the Ca/P ratio in the different methods synthesis, sol–gel, mechanosynthesis and sigma reagent. Related to TCP synthetized by sol–gel, there were reported different powder morphologies and sizes such as nanoparticles, nanospheres, nanotubes, irregular shapes with agglomerations, etc. In these cases, the wet methods control the size and shape of the reaction parameters (purity of reagent, pH, catalyst, crystallinity, temperature, time, and so forth) . For example, the organic reagent controls the size and the shape of the crystals of the tricalcium phosphate through chemical precipitation, while the pH in the citrate is essential to control the homogeneity and the particle size due to the protonation of the citrate as a result of low pH . Related to the shape of the particles, an exhaustive study of the SEM images at higher magnifications revealed that for the particles obtained using mechanosynthesis the aspect ratio is close to 1.5 (600nm/400nm), while the particles obtained by sol–gel presented aspect ratios of 3 (3μm in large and 1μm in wide oval particles). Rudisill et al. discovered that the ethylene glycol concentration controls the morphologies as microsphere size, but the citric acid concentration can modify the development of the morphology as bicontinues structures increasing the bicontinues network and forming particle agglomerates as the observed in Fig. 4a. The energy-dispersive X-ray spectroscopy technique (EDS) allowed to observe the Ca/P atomic ratio semi-quantitatively (Fig. 4), which corroborated the composition of the tricalcium phosphate powders fabricated by mechanosynthesis, sol–gel and compared to sigma reagent, where at 24h of milling the Ca/P ratio was 1.88, and at 12h of milling time was 1.69. On the other hand, sol–gel powders shown a Ca/P ratio of 1.79 and the value of Ca/P ratio equal to 1.4 was presented for the sigma reagent. All the values are different to 1.5, which is the theatrical value , due to Ca/P ratio has been influenced by the time of the synthesis method , inasmuch in this research the ions of Ca and P had more time to precipitate and increase the Ca/P values. Some researchers have found differences in the Ca/P ratio when the tricalcium phosphate is impure, in other words, the presence of calcium pyrophosphate as a residual phase in the process of synthesis of the tricalcium phosphate modified the value of Ca/P and also, the value of Ca/P ratio depends on the amount of the residual phase. It can be greater or less than 1.5. On the other hand, the TCP fabricated by the milling route has shown that the weight percent mixing of the reagents can influence the Ca/P ratio stoichiometric of tricalcium phosphate [19,29]. The results of particle size distribution in all the powders shown a wide distribution (Fig. 5). Sol–gel powders size distribution presented an average of particle size 350nm, the average for mechanosynthesis powders at 24 and 12h, which were 170nm and 1000nm. Sigma reagent average particle size was 1450nm. Particle size distribution powders fabricated by sol–gel, mechanosynthesis with different times of milling at 24 and 12h, and sigma reagent. The sigma β-TCP reagent powders presented significantly higher density which was 3.75gcm−3. The powders fabricated by mechanosynthesis with milling time at 24h was 3.15gcm−3 and at 12h of time milling was 3.02gcm−3. On the other hand, the sol–gel powders shown the lower density than the rest of the powders which was 3.005gcm−3. The surface area of the powders obtained by mechanosynthesis with the conditions at 24 and 12h exhibited more surface area which was 3.65m2g−1 and 3.53m2g−1 respectively. On the other hand, the powders fabricated by sol–gel had a surface area of 2.22m2g−1 and, finally, the sigma reagent had 2.12m2g−1. Fig. 6 shows TEM β-tricalcium phosphate powders micrographs of sol–gel, milling at 24 and 12h, and the sigma reagent. TEM observation suggested that the agglomerated particle size was 4μm for sol–gel (Fig. 6a). By the milling time at 24h presented agglomerated with range size of 0.1–0.8μm (Fig. 6b), at 12h of milling times had an agglomerated particle size of 4μm (Fig. 6c). The sigma reagent shown agglomerated particle size of the 5μm taking the largest section (Fig. 6d). TEM micrographs demonstrate the morphology of the β-TCP powders by bright field TEM showing (a) sol–gel, (b) milling at 24h, (c) milling at 12h, and (d) sigma reagent. The two methods of synthesis of the tricalcium phosphate used in this work shown to be excellent to obtain the beta phase. Nevertheless, β-TCP powders fabricated by sol–gel presented agglomerated particles as a result of the interaction between precursor reagents and the citric acid. Another significant difference is that the powders obtained by mechanosynthesis were agglomerated due to the interaction of the powder with the balls and the container, and even due to the collision between powder particles, fact less observed in the case of the other powders. Mechanosynthesis did not show residual phases as in the case of the sol–gel and sigma reagent. On the other hand, the shape of the particles obtained with the different methods was very similar. The, density, and particle size distribution values can be influenced by the surface area, due to the higher surface area is directly related to at higher concentrations of smaller particle size. Finally, the smaller particle size was found by mechanosynthesis with milling time at 24h. The authors would like to acknowledge the UNAM-DGAPA-PAPIME (PE104318) for providing the funding for conducting this study. A. Tevlek, P. Hosseinian, C. Ogutcu, M. Turk, H.M. Aydin. Bi-layered constructs of poly(glycerol-sebacate)-β-tricalcium phosphate for bone-soft tissue interface applications. S. Hoover, S. Tarafder, A. Bandyopadhyay, S. Bose. Silver doped resorbable tricalcium phosphate scaffolds for bone graft applications. J. Park, S.J. Lee, H.H. Jo, J.H. Lee, W.D. Kim, J.Y. Lee, S.A. Park. Fabrication and characterization of 3D-printed bone-like β-tricalcium phosphate/polycaprolactone scaffolds for dental tissue engineering. B.T. Smith, M. Santoro, E.C. Grosfeld, S.R. Shah, J.J.J.P. van den Beucken, J.A. Jansen, A.G. Mikos. Incorporation of fast dissolving glucose porogens into an injectable calcium phosphate cement for bone tissue engineering. M.B. Thürmer, C.E. Diehl, L.A.L. dos Santos. Calcium phosphate cements based on alpha-tricalcium phosphate obtained by wet method: synthesis and milling effects. Mechanochemical synthesis and structural characterization of nano-sized amorphous tricalcium phosphate. A. Farzadi, M. Solati-Hashjin, F. Bakshshi, A. Aminian. Synthesis and characterization of hydroxyapatite/β-tricalcium phosphate nanocomposites using microwave irradiation. K.P. Sanosh, M. Chu, A. Balakrishnan, T.N. Kim, S. Cho. Sol–gel synthesis of pure nano sized β-tricalcium phosphate crystalline powders. J. Duncan, J.F. Macdonald, J.V. Hanna, Y. Shirosaki, S. Hayakawa, A. Osaka, J.M. Skakle, I.R. Gibson. The role of the chemical composition of monetite on the synthesis and properties of α-tricalcium phosphate. J. Chen, Y. Wang, X. Chen, L. Ren, C. Lai, W. He, Q. Zhang. A simple sol–gel technique for synthesis of nanostructured hydroxyapatite, tricalcium phosphate and biphasic powders. Synthesis and characterization of sintered beta-tricalcium phosphate: a comparative study on the effect of preparation route. J. Zhang, J. Guo, S. Li, B. Song, K. Yao. Synthesis of β-tricalcium phosphate using sol–gel self-propagating combustion method. K. Shimoda, J.S. Park, T. Hinoki, A. Kohyama. Influence of surface structure of SiC nano-sized powder analyzed by X-ray photoelectron spectroscopy on basic powder characteristics. N. Rangavittal, A.R. Landa-Cánovas, J.M. González-Calbet, M. Vallet-Regí. Structural study and stability of hydroxyapatite and beta-tricalcium phosphate: two important bioceramics. X-ray diffraction characterization of crystallinity and phase composition in plasma-sprayed hydroxyapatite coatings. I. Cacciotti, A. Bianco, M. Lombardi, L. Montanaro. Mg-substituted hydroxyapatite nanopowders: synthesis, thermal stability and sintering behaviour. Research of calcium phosphates using fourier transform infrared spectroscopy. Y. Wang, J. Gao, J. Hu, Y. Zhang. Solid reaction mechanism of CaHPO4·2H2O+CaCO3 with and without yttria. Sintering of calcium phosphate bioceramics. Temperature of the milling balls in shaker and planetary mills. Mechanochemistry in Nanoscience and Minerals Engineering. Z. Juhász, A.Z. Juhász, L. Opoczky. Mechanical Activation of Minerals by Grinding: Pulverizing and Morphology of Particles. K. Lin, C. Wu, J. Chang. Advances in synthesis of calcium phosphate crystals with controlled size and shape. A.E. Danks, S.R. Hall, Z. Schnepp. The evolution of ‘sol–gel’ chemistry as a technique for materials synthesis. S.G. Rudisill, N.M. Hein, D. Terzic, A. Stein. Controlling microstructural evolution in Pechini gels through the interplay between precursor complexation, step-growth polymerization, and template confinement. M. Canillas, P. Pena, A.H. de Aza, M.A. Rodríguez. Calcium phosphates for biomedical applications. Z. Zyman, D. Rokhmistrov, K. Loza. Determination of the Ca/P ratio in calcium phosphates during the precipitation of hydroxyapatite using X-ray diffractometry. Fabrication of calcium phosphate bioceramics by using eggshell and phosphoric acid.